Despite its size, the thyroid is a very important part in how the body functions. Our major organs are all influenced by this petite gland so its health is essential to the human body. Unfortunately, the thyroid can, and often does have its fair share of problems. In fact as many as 20 to 30 million people in the United States have a thyroid disorder. Women over the age of 35 years old are as much as 30 percent more likely to have some form of thyroid disorder. 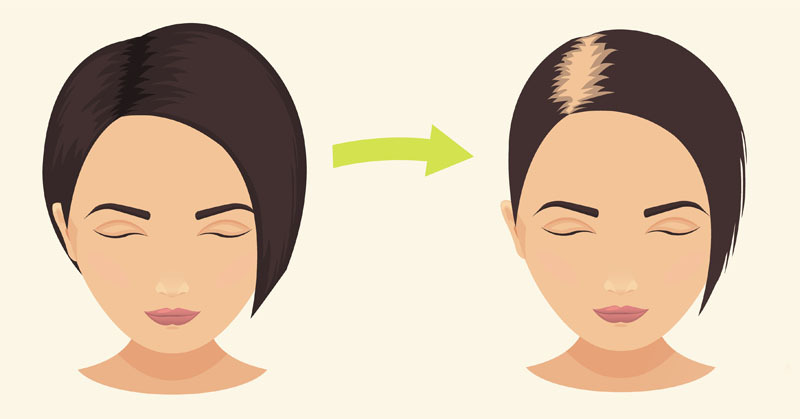 These problems range from mild to moderate concerns such as hair loss to major health issues, including death. Located right above the collarbone in the lower front portion of the neck sits a gland called the thyroid gland. It consists of two lobes that spread out like butterfly wings. The gland is a part of the endocrine system and it produces hormones. The two primary hormones produced by this gland are thyroxine, or T4, and triiodothyronine, which is known as T3. Problems arise when the gland becomes sluggish or if it becomes overactive, as this can affect one’s metabolism. Because one’s metabolism controls functions such as one’s heart beat and how quickly one burns calories, it can also create a number of problems. When a person’s thyroid is underactive, it isn’t making enough of the hormones that it would under natural circumstances. When there isn’t enough of this hormone the body begins to feel colder and move slower. One may suffer from constipation, dry skin, changes in hair texture, hair loss, and more. It can be caused by the removal of one’s thyroid gland, too much iodine, and/or Hashimoto’s thyroiditis, which is an autoimmune disease. In infants, hypothyroidism can cause mental retardation, and stunted growth may occur as a result. If left untreated, hypothyroidism can lead to heart problems, changes in mental health, goiter, birth defects, and even infertility. On the opposite side, when one’s thyroid is producing too much of the hormones, it is called hyperthyroidism. It can be caused by conditions such as cancer of the thyroid. Individuals who are at risk include women, individuals who are over the age of 60, and those who have other thyroid problems. The most common type of hyperthyroidism is Graves’ disease. Although symptoms can vary, some of the common ones include trouble sleeping, irritability, mood swings, weakness of the muscles, diarrhea, thinning of the bones, minimal menstruation, hair loss, and goiter. Radioactive iodine may be used as a method of treating hyperthyroidism. When thyroid cells grow into a lump formation within the thyroid itself, it is referred to as a thyroid nodule. Around five to 10 percent of the time the thyroid nodule is cancerous, but fortunately 90 percent of the time the thyroid is cancer-free. Unfortunately, according to the American Thyroid Association, the cause of a majority of these non-cancerous, benign nodules is unknown. As many as 10 percent of women and 5 percent of men have thyroid nodules. Often there are no signs to indicate thyroid nodules; however, some may experience some swelling or fullness in the neck. For benign nodules no surgery is necessary unless size is an issue, in which case a lobectomy may be performed. Thyroid malignancy, or malignant thyroid nodules, is also called thyroid cancer. The cancer from these nodules can become life threatening and may spread to other organs and parts of the body through the lymph nodes. Treatment is possible as the cancer can be removed or at times destroyed; however, there is the possibility that it can return. There are several types of thyroid cancer. These include papillary thyroid cancer, which affects up to 86 of every 100 individuals who have thyroid cancer. Nine out of 100 people diagnosed with thyroid cancer will have follicular thyroid cancer, which is the second most common type. Other thyroid cancers include medullary and anaplastic cancer. Options for treatment include radioactive iodine therapy, chemotherapy, external radiation, thyroid hormone treatment, or surgery.